Simple Navigation, Expanded Horizons, The Ultimate Car Navigator. Also GPS devices for truckers and Fitness watches. Find the Perfect GPS at TomTom Now! GPS Devices, Cases, Accessories and More! Great TomTom Products at Great Prices. Shop TomTom’s Special Offers Now! Roads change, but with Lifetime Map Updates from TomTom your map will always be up to date. Get it now! Save $15 instantly on services of $100 or more. Cannot be combined with other instant savings offers. Valid at Goodyear Auto Service locations. Offer ends 1/31/19. Buy a select set of 4 tires and get up to $200 back in a mail in rebate when you use the Goodyear Credit Card. Restrictions apply. See site for full details. Offer valid thru 3/31/19. Save 20% on select Valentine?s Day chocolates And Buy 2, Get 1 Free on all $9.99 boxes of Russell Stover chocolates through Sunday, 1/20! NEW YEAR CRAFT & SCHOOL SUPPLY SALE! Save Up To $100 OFF! Free Shipping On EVERYTHING At Discount School Supply! Use Code: JANFREE At Checkout! Good Through 2/3/18! Save BIG On Over 500 Products + Free Shipping On Orders Over $99!2019 Price Drops! Save $20 Off Any Purchase of $150 Or More Using Code: A20SAVE & Get Free Shipping On Orders Over $99! Save $10 Off Any Purchase of $100 Or More Using Code: A10SAVE & Get Free Shipping On Orders Over $99! Take 70% off at the whole MLB store! Click here: https://photostore.mlb.com/? Netflix announced on Tuesday that all three of the company’s plans will go up. The standard $10.99 plan, for example, will increase to $12.99 per month. Its $7.99 plan will go up to $8.99 and its $13.99 plan will go up to $15.99 a month. At Bremec Garden Centers purchase Bonds at $35 each by February 28th. Redeem Bonds for $50 in Plants, Pottery & More April 1-July 1. Get massages for as little as $32 for an hour! 30% Discount! on HP Inc. SmartBuy HP ProDesk 400 G5 Microtower PC. Now’s the chance to Save $270. Get this deal Now for only $629.99! 46% Off! For only $269.99! on HP Inc. Compaq 8200 Elite Intel Core i5-2400 Quad-Core 3.10GHz – Refurbished (HP8216G2TB10P) – Get Yours Now! Feeling worry when the rest of your home loses power? Use APC Back-UPS to keep your devices running like router. You can also charge your devices and still connected to your Wi-Fi. Get it Now! For only $79.99! on Intel Solid-State Drive 545S Series – 512GB Solid state drive – Have it Now! Only $129.99! on BenQ 23.8″ Full HD IPS LED monitor, 250 cd/m², 1000:1, 5 ms, HDMI – Grab Your very own product Now! Only $179.99! – Acer ER320HQ 31.5″ Full HD 1920 x 1080 Widescreen LCD Monitor – White (UM.JE0AA.001) – Order Now! Only $299! on BenQ Eco-Friendly SVGA Business Projector – Buy it Now! Only $529.99! on HP Inc. 260 G2 Mini Intel Core i5-6200U Dual-Core 2.30GHz with 1Terabyte HDD – Order Now! Only $69.95! on CyberPower 650VA/400W Mini-Tower Standby UPS (PCM EXCLUSIVE BUY) (RT650) – Order Yours Today! Only $699.99! on HP Inc. ProDesk 400 G4 – Micro tower – 1 x Core i7 7700 / 3.6 GHz – RAM 8 GB – Order Yours Today! Only $749.99! on Lenovo ThinkPad L480 Intel Core i5-8250U 1.6GHz Notebook PC – 8GB DDR4 RAM – Buy Yours Now! SAVE $300 INSTANTLY! on HP ProDesk 400 G5 Microtower PC with 1Terabyte HDD – Grab Your very own HP product Now! VXI Corporation BlueParrott Reveal Pro – Get it for Only $29.99! Grab Yours Now! Get 20% off at Big Lots this weekend with the following couponing for Rewards members: https://www.biglots.com/page/coupon-web? From 1/20 and 1/21 get one for just $5.50 each at Build A Bear! It’s time for my annual grades for area stores. So which stores have the best saving programs this past year? Which ones improved and which ones did worse? The grades are weighted most on which have the best deals, but also takes into consideration service, staffing, rewards programs, coupon policies, and other factors that help your pocketbook. In years past I have given stores an A grade, but the reduction in super-deals and tightening couponing rules have dropped grades and none earned higher than a B. This past year most stores stayed the same or moved up or down a grade very little. Stores are just not offering as many deals as they used to in the past. Ever since the Extreme Couponing show went on the air the stores have tightened up on their deals and rules. Stores aren’t as coupon-friendly and have added rules that hinder redeeming coupons. You may be surprised that I have listed Giant Eagle with the highest grade (along with CVS). Giant Eagle is a store where I can save around 70% and more on a consistent basis, mostly due to double coupons. Many folks think their everyday prices are high. Maybe back some years ago they were, but not so much anymore. With Giant Eagle’s other numerous savings programs and double coupons that other stores don’t have or aren’t as good as, it bubbles them up to the top. And just because a store is known to have low prices in the past doesn’t mean they are still low. Marc’s and Wal-Mart’s prices aren’t as good as they used to be. Also, those stores don’t have sales per se. Just supposed everyday low prices. They also don’t have any loyalty program deals and double coupons like Giant Eagle does. Huge difference. Some folks are very loyal to their stores, but if you could get better deals at another store would they go there? We’re creatures of habit and probably shop at the same stores that we’ve shopped at for years and years. I always like to check out stores to see if they’ve gotten better (or worse). I don’t want to miss out on any deals! Also, a box of Cheerios is the same at every store, so some items are all the same. Outside of the boxed or packaged items, the selection of meats, produce, and deli can make the difference to some consumers. Those consumers most likely put more of an emphasis on quality than cost though. All fine and dandy, but when people have limited income they have to find stores with the best deals. Back ten years ago the rewards/rebate programs were much different too. There were many more rebate programs with lots of great rebates. Back then you were able to get more razors, shampoo, and hair color for free too. I could use a box of hair color now that my hair is getting grayer! Take advantage of the stores that offer the deals while they last! So if you haven’t been to some of these stores that graded well, give them another chance. You may be surprised that they are cheaper or have better savings programs than the stores you go to now. Double Coupons up to 99 cents all day, every day. 10 cent Fuelperks with every $50 purchase. 20 cent Fuelperks at times with gift card purchases. Sometimes offer more than 20 cent Fuelperks (did 29 cents on Leap Day in 2016 and .30 e-mailed deals or other offers). Fuelperk deals when purchasing certain items. 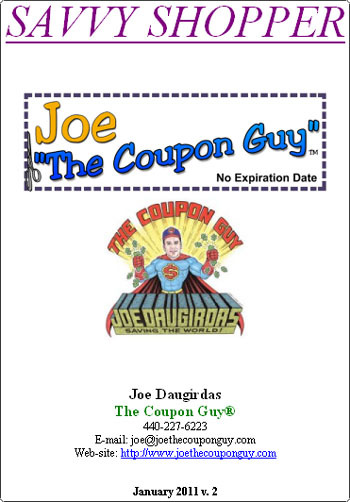 Register coupons, some for dollars off your next shopping trip. They offer tons of eOffers (electronic coupons – can’t be doubled). Weekly eAdvantege offer each week – usually a freebie item, sometimes multiple items. Lower prices than in years past. BOGO deals where only one item can be bought at half price. Beer and wine rebates in store. Fuel savings with transferred prescription coupons. If you forget to use a coupon they will take it up to 10 days after the date on the receipt with a loyalty card. They Send $ off $ coupons and other coupons via mail to customers. Half off sushi on Wednesdays. I’ve been finding great 75% off clearance deals on stocked items. Some prices on non-sale items still high. Lots of people still feel their overall prices are high. Fewer super deals combining coupons and sale items. Limited like coupons to 5. Limited like internet coupons to 2. Limited total coupons per checkout to 20. Regular price on meat is high. Even sale prices on meat are high. EOffers can’t be stacked with a manufacturer coupon anymore. No more babysitting at Eagle’s Nests. Have closed/consolidated some stores in the Cleveland area in recent years. Meat prices still high even with BOGO deals. Good amount of Extrabucks deals, especially during Black Friday. Usually something a good handful of items can be purchased for 70% off or more every week. Clearance holiday deals go up to 90% off. Extra coupons given at in-store coupon kiosk. Kiosk usually prints coupons like $4 off $14 cosmetic purchase. $X off $X spent coupons given at times. Earn 2% in Extrabucks rewards on most purchases (given after each quarter). 10% Beauty Club Saving reward. Usually can find clearance items at 75% off. Not as many Extrabucks freebies as in years past. Not as many $4 off $20 purchase kind of coupons as in years past. They have stopped taking expired Extrabucks. The regular price on most items are way over-priced. Stopped giving Extra Bucks when short a few cents of the Reward. Extra Bucks deals involve buying too many items. For instance, buy $30 get $10 in Extra Bucks. Organic foods at decent prices. Super fast cashiers – do they give them free Red Bull? Stores are sized for easy in and out. They take credit cards now! Have to pay for bags. Have to pay for cart. Run out of produce quickly. BonusCash program offers many deals. I like that you can get more than one offer on most of the deals. Enough deals to keep you coming back each week on a good variety of items. Electronic coupons can be loaded to your card from their site. Some gift card deals with their BonusCash program. Decent amount of deals during Black Friday week. Can find 75% off deals on clearance items. Store coupons on some items that are close to expiration date. Very few freebie deals with BonusCash. Very few freebies as compared to past reward programs. The regular price on some items are way over-priced. Old UP reward and rebate program offered more and better deals. Restrictive coupon rules (one coupon on BOGO deals). Must purchase a lot of items for some deals to trigger. For instance, buy $50, get $20 in BonusCash. Good quality, similar to Heinens. Rewards program offering points for purchases that can get redeemed for rewards. Fuel rewards with Speedway where available. Ace Hardware stores located in-store. Ok everyday low prices (used to be better). Ok produce prices (used to be better). Gift card deals like the 10 cents off a gallon of Speedway gas and 2% off other gift cards. They now take credit cards. Some hot deals in ad. No super deals on a consistent basis. No real weekly sales, just everyday prices. Some stores need spiffying up. Some great deals (usually on the first page of their ad). Can find great deals on meat such as $3.99/lb for T-Bone steaks. Similar to Aldi’ in format, but unlike Aldi, they take coupons. No loyalty reward programs or other perks. Buy $100 in gift cards, get $10 Dave’s gift card. Everyday prices can be high. They pack a lot of a variety of items into a small store. Sometimes offer surprisingly great deals – recently, Finish detergent for .99 after coupon. Most all now take coupons. Clearance items can be very low priced. They have $5 off $25 (or other amounts) coupons at times. Can find a store everywhere. Great sale deals on clothes. Items can be cheap, but also cheaply made. If you want to feel elite, this is the store. They’re doing something right to be around 90 years. They are all about quality, but a box of Cheerios is the same at Marcs, Giant Eagle, Dollar Stores, etc. Aside from the bakery, prepared foods, and meats the rest of what they sell for the most part is just like any other store. But if you did a blind taste test on even those items, could you figure out which store they came from? Valet grocery program doesn’t allow carts out of the store. Can slow down leaving store. However, valet service can be a plus. Maxperks program offers deals through the year, especially school season. Many Maxperks deals available online – sometimes freebies. Allow multiple limits on Maxperk deals. Have $10 off $50 coupons or the like every so often. Store personel are always asking if I need help. MaxPerks members get 5% back in rewards on their purchases. Always have 1 cent Duracell 16 pack Maxperks deals. The Maxperks value gets adjusted if coupons or additional discounts are used. No deals over Black Friday like there were in the past. No more paper deals that were around $10 after rewards for a case of paper. School deals were very limited this past year. Although their score improved, Walmart has consistently placed last among department and discount stores in the American Customer Satisfaction Index. So it’s no wonder customers are upset about shelves not being stocked and not enough cashiers at Wal-mart. Coupons can earn overage (credit). They price match online (limited). New Savings Catcher app will find the best price of items. Have just about everything you need sold at the store. Everyday low prices not as good as it used to be. Their fuel reward program isn’t very good. Shelves are usually not fully stocked. Not enough employees at registers, etc. Too much of what they sell is from China when it used to be mostly U.S. products. They did away with ad price matching. Rarely put ads in newspapers . Lots of freebie food stations. Costco treats their employees right. Good deals on non-grocery items like tires and some on travel and other items. Some offer store coupons (BJ’s does – Costco, Sam’s Club doesn’t). Other programs such as travel deals offers additional savings. Some offer a rebate after the year that ends up covering the cost of your membership. You have to pay to shop there. You have to buy in humongous bulk sizes, much of which may get thrown out because it spoils before getting used. Most don’t take coupons (BJ’s does). Shop Your Way Rewards program offers various savings. They have a decent amount of $10 off $50 coupons or the like for certain category items (lawn, clothing, etc.) that can be loaded onto your card online or printed through the ShopYourWay rewards program. Electronic coupons can be loaded online. At times they have Friends and Family private sales for Shop Your Way Rewards members. No more double coupons, including super doubles at K-Mart. Not as many stores means you have to spend more on gas to get to their stores. They don’t send an ad to my house anymore because…they closed all of the stores close to me. Rewards have to be loaded all the time and many of them are for high amount purchases such as a $50 purchase or more. Their Register Rewards offers freebies or decent deals at times. Balance Points Rewards program offers additional savings. Everyday rewards offer additional savings. Bonus offers for Everyday rewards for the Balance Points program can be substantial. Beauty Enthusiast rewards offer additional savings. Sometimes they offer bonus Everyday rewards when a specific amount is purchased. 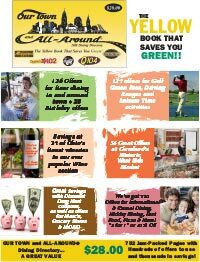 Monthly in-store Coupon booklet offers additional savings. Very few Register Rewards deals unless you need Trolli candy. Balance Rewards program stinks – savings usually minimal and you usually have to buy more than one item. Can only use one manufacturer coupon per item (Register Reward is considered a manufacturer coupon). Coupons beep frequently at the register due to issues with their computer system reading coupons. No Register Reward or additional Balance Reward deals for Thanksgiving week/Black Friday deals. They are becoming a store that gives no reason for couponers to shop there. Register Rewards expire too quick. The regular price on items are way over-priced. They don’t put ads in the newspaper every week in some markets. Balance Rewards program no longer offers bonus amounts. Only up to 5,000 points can be redeemed at a time. Quickly ended allowing up to 40,000 points to be redeemed which left a lot of people with tons of points that will take forever to redeem. They are obviously curtailing great deals that are for coupon/deal-centric shoppers. A lot less deals again this past year, especially over Black Friday weekend. School deals were minimal as compared to years past. No more Staples Rewards deals and Easy Rebates. Halfway to Spring Sale! Take up to 80% off thousands of deals at LivingSocial. Valid 1/20 12:00am ET through 1/21 11:59pm PT. Prices as marked; Valid on select deals. Flower Show Admission Orchid Mania at Cleveland Botanical Garden for half off! Only $12! Rock Tribute Band with Bagpipes Red Hot Chilli Pipers at the Akron Civic Theatre for only $18! Take 20% off Macy’s 2-Day Holiday Sale with code TWODAY. Shop now ! Valid 1/20-1/21. Estee Lauder Moisturizer Event – Does your skin thirst for more? Find the moisturizer right for you. 4 DAYS ONLY: SAVE $20 on any 1.7 oz. or larger moisturizer. All Lenovo PCs on sale! Extra 40% off clearance items. Use code EXTRA. In-store & Online. Restrictions apply. Ends 01/21. 50% Off All Old Navy Active for the fam. Excludes clearance in-store & Maternity. While supplies last. In-Store & Online. Restrictions apply. Ends 01/20. Starting 01/20: 30% off your order, including clearance. No code needed. Online Exclusive. Restrictions apply. Ends 01/21. Brother HLL2320D Compact Single-Function Monochrome Laser Printer with Duplex for $59.99, Reg $99.99. Save $40! HP OfficeJet Pro 7740 Wireless Inkjet Printer for $199.99, Reg $279.99. Save $80! HP 17-BY0061ST Laptop, Intel Core i3-8130U for 389.99, Reg $529.99, Save $140! Epson® EcoTank ET-2650 Wireless Multifunction Color Inkjet Printer for $199.99, Reg $279.99. Save $80! Epson VS250 SVGA 3LCD Projector for $299.99, Reg $359.99. Save $60! Free Shipping, no minimum. Today only! Get FREE coupons just like the ones in the RetailMeNot (formerly Red Plum) inserts. Print each twice. Wild Iris Homegrown Decor – at Olde Avon Village, 36840 Detroit Rd in Avon. WoodForeset Furniture – relocated to 27005 Cook Road, Olmsted Township. This entry was posted on Sunday, January 20th, 2019 at 2:40 pm	and is filed under Uncategorized. You can follow any responses to this entry through the RSS 2.0 feed. You can leave a response, or trackback from your own site.